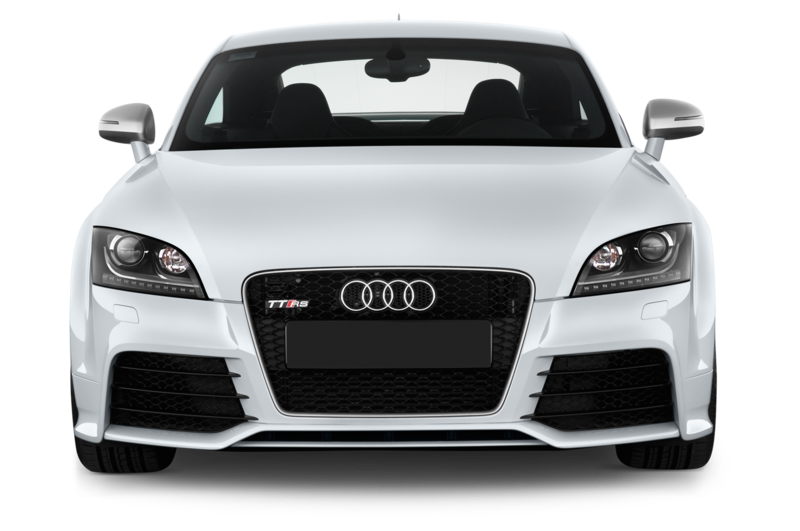 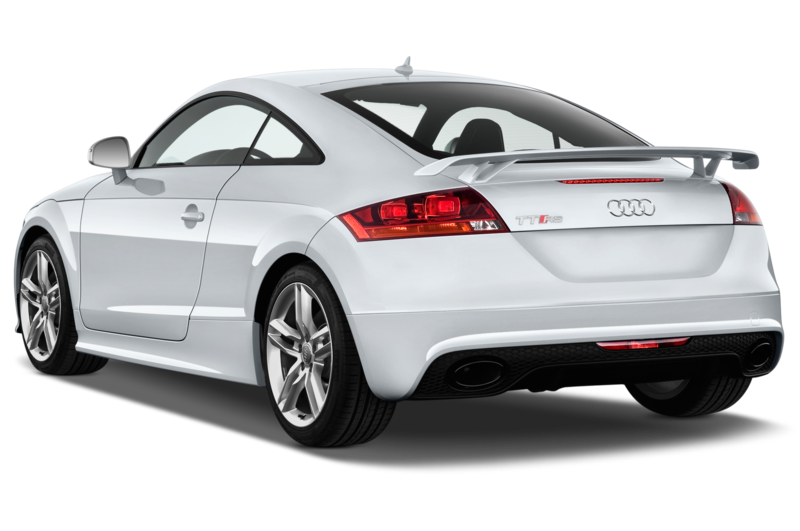 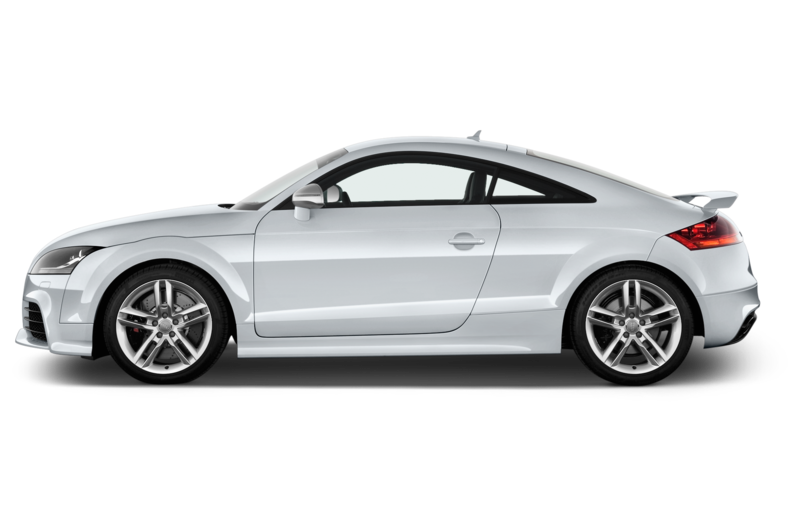 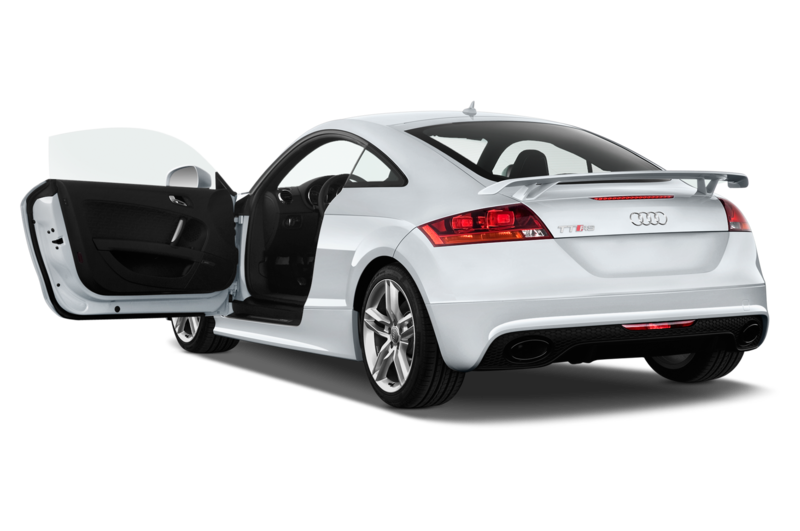 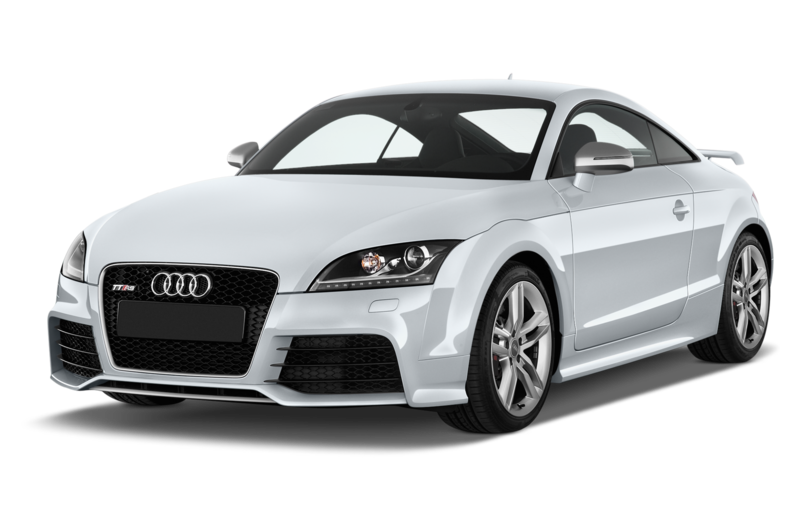 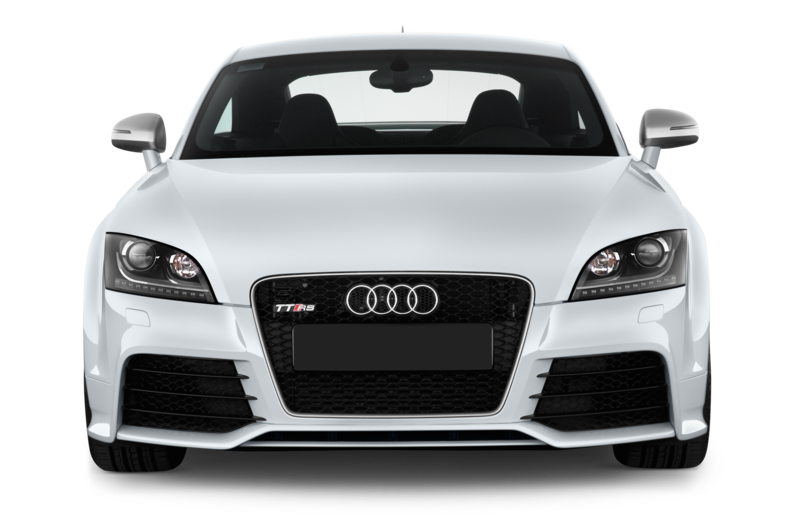 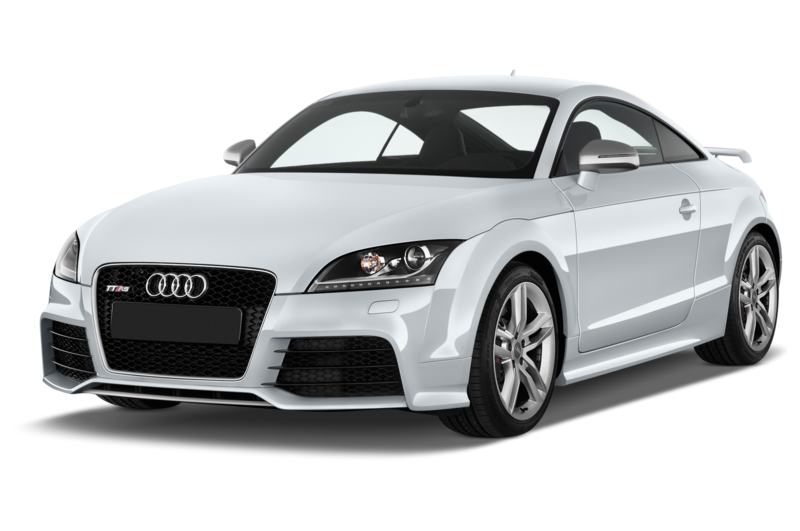 The previous-generation Audi TT RS was a monster performer capable of a 0-60 mph run around 3.5 seconds right out of the factory. 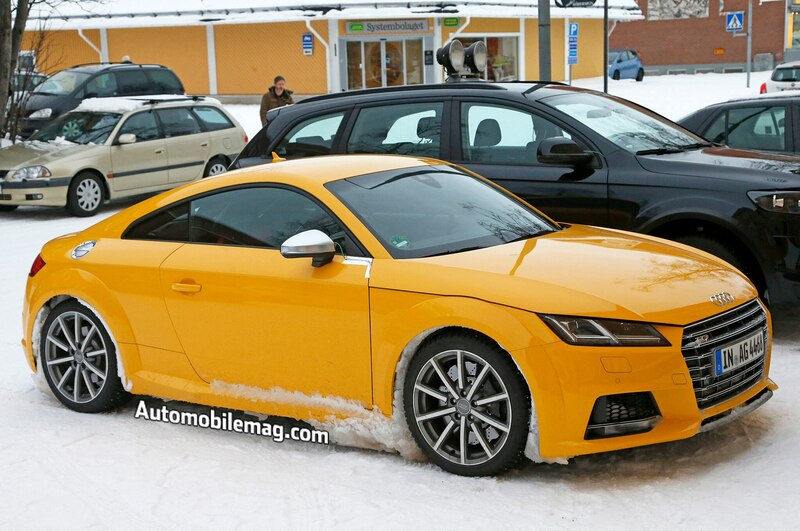 These spy photos now show an RS variant of the new, third-generation TT out for winter testing. 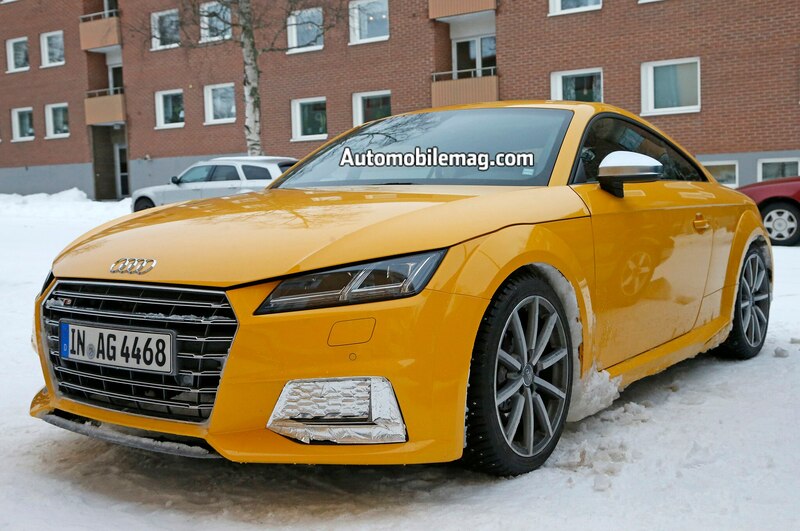 Like previous TT RS spyshots, the spied TT is devoid of any official RS badging. 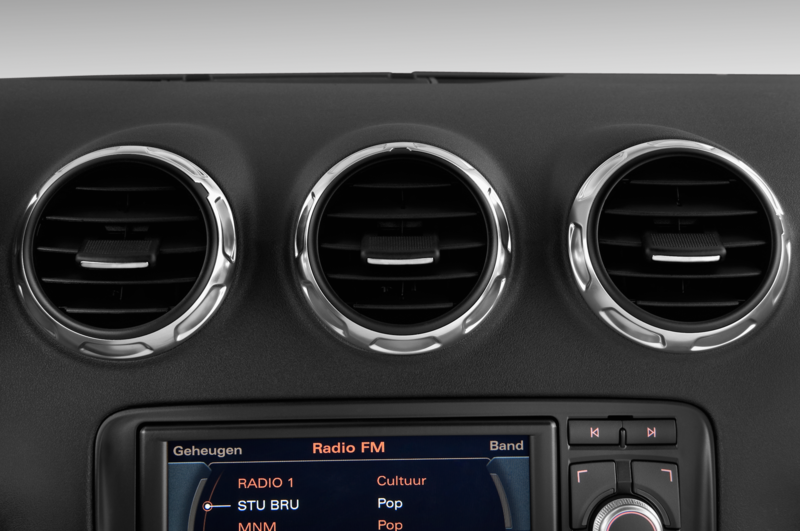 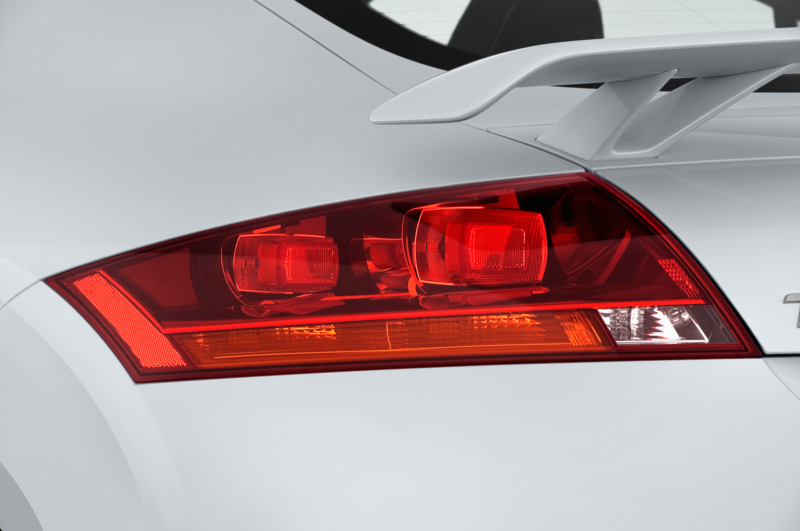 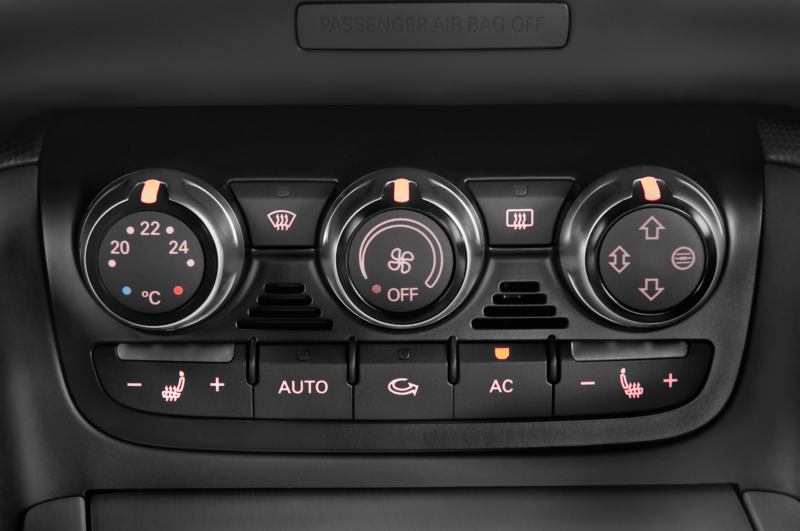 However, the car wears a heap of go-fast bits that hint at something a little hotter than the current TTS. 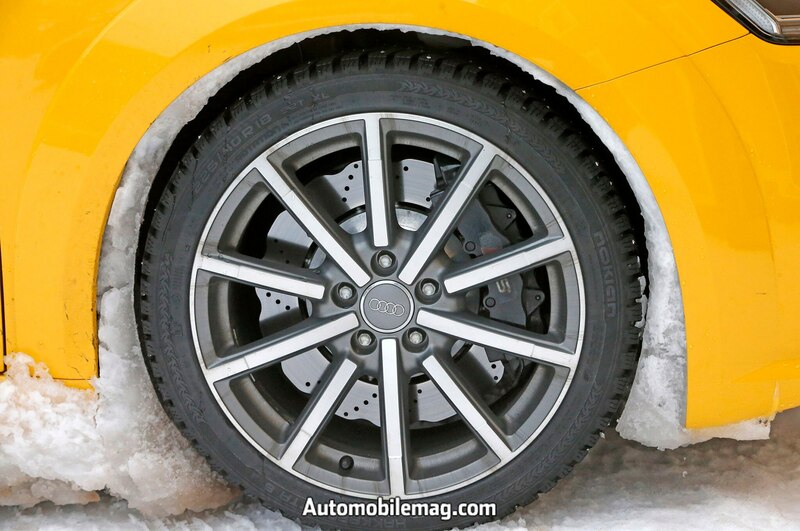 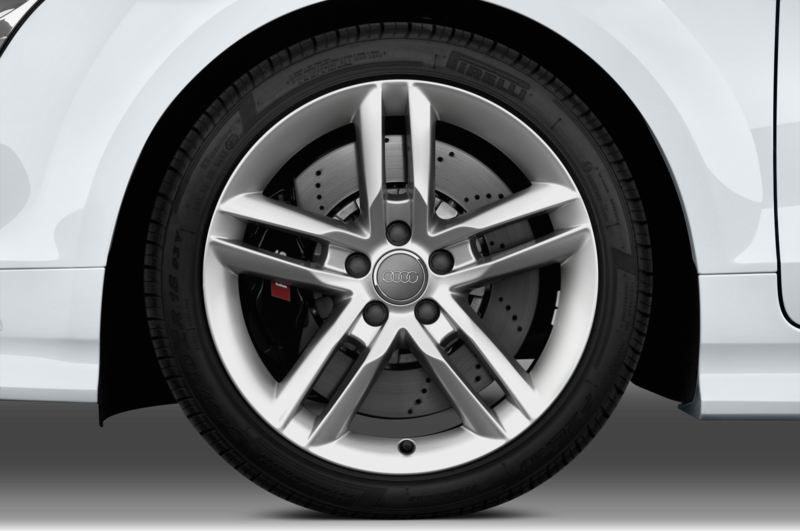 Behind the large wheels hide Audi’s signature Wave rotors, grabbed by massive calipers that wear an almost painted-over “RS” badge. 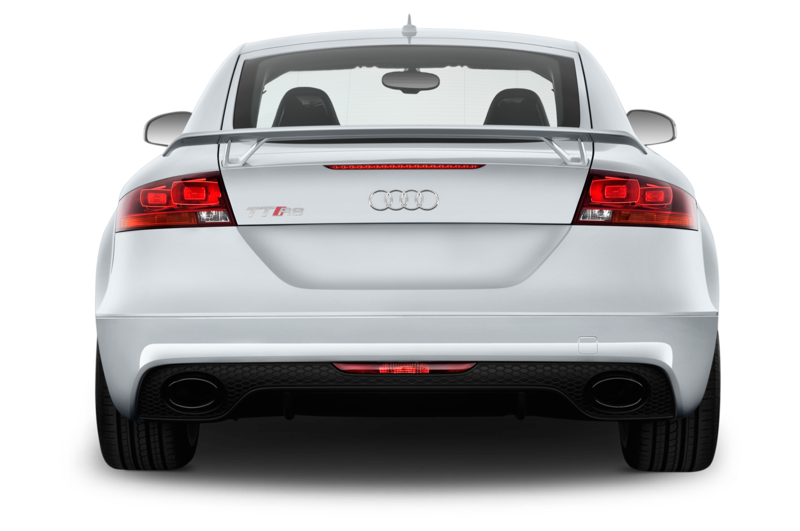 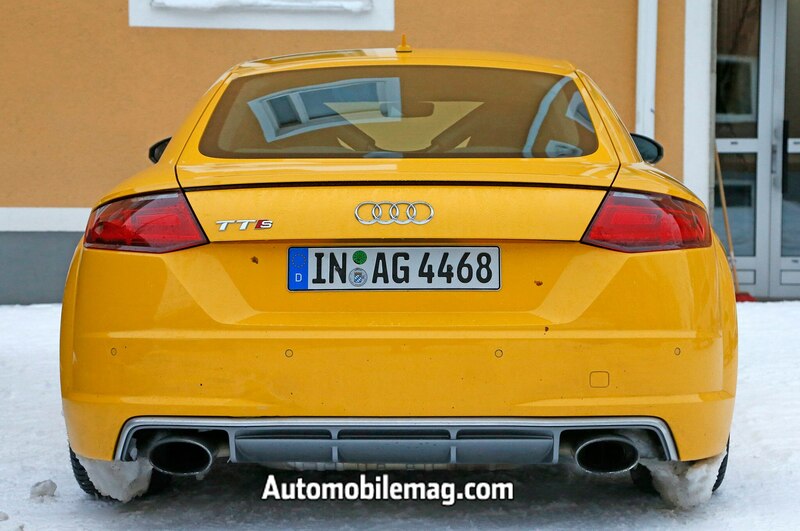 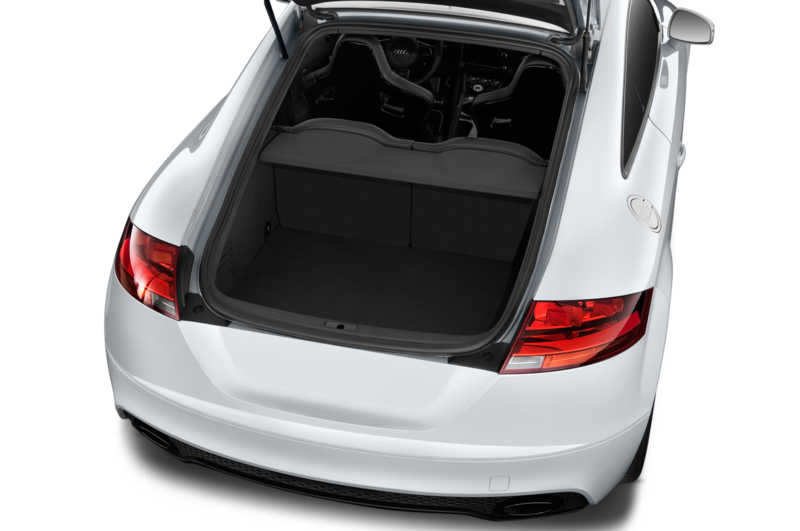 Around the rear, a more aggressive diffuser is present, long with large oval exhaust outlets. 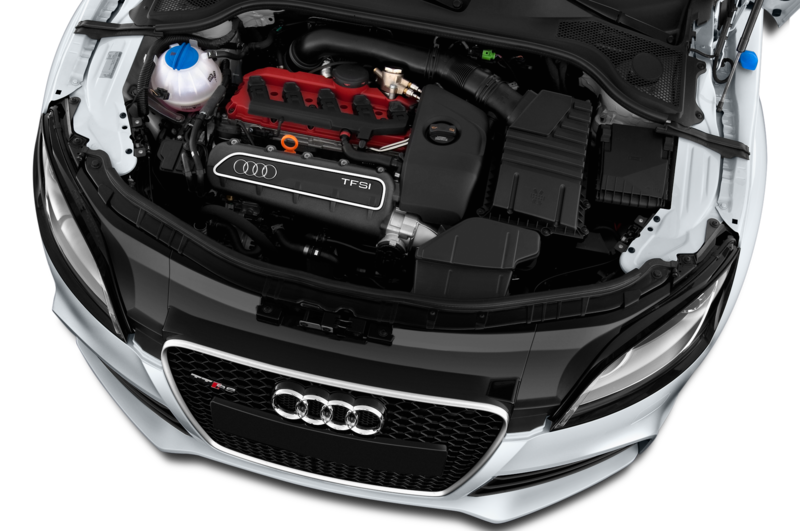 Inside, we caught something magical. Despite Audi making the gradual shift over to dual-clutch automatic transmission, this particular RS test mule packs an honest-to-goodness manual transmission. 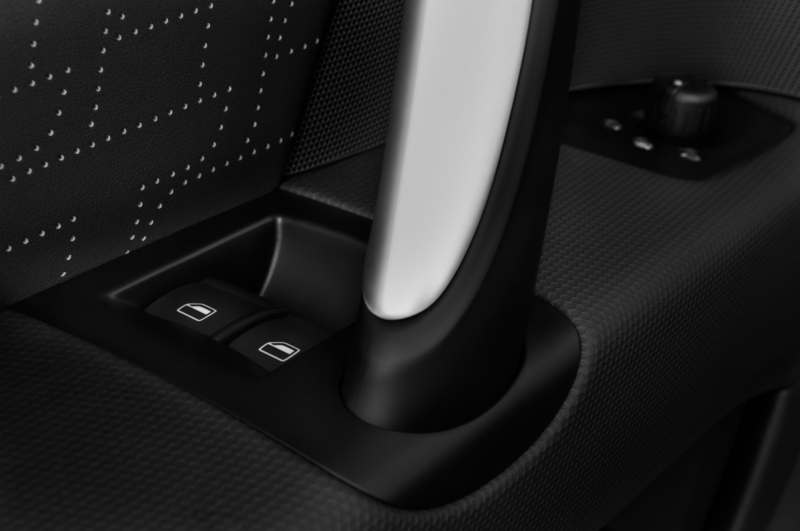 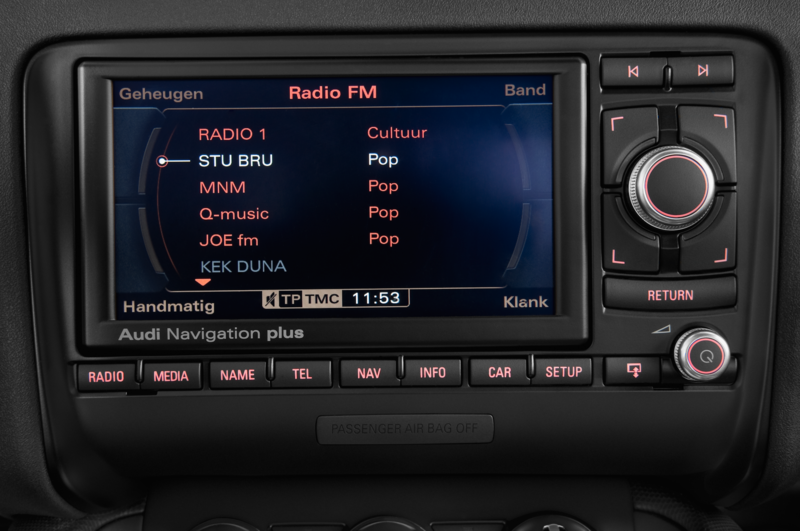 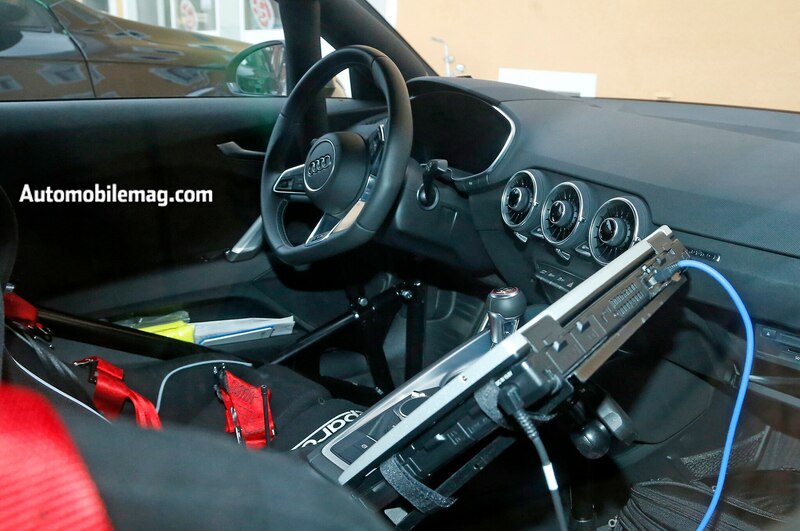 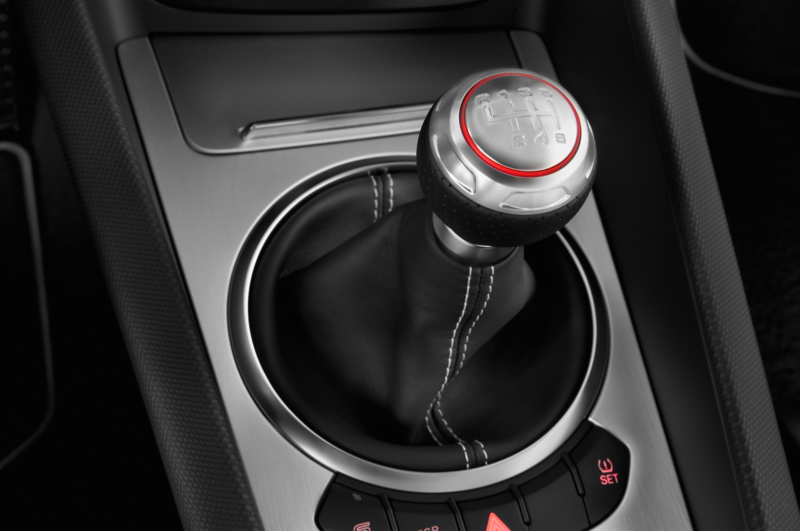 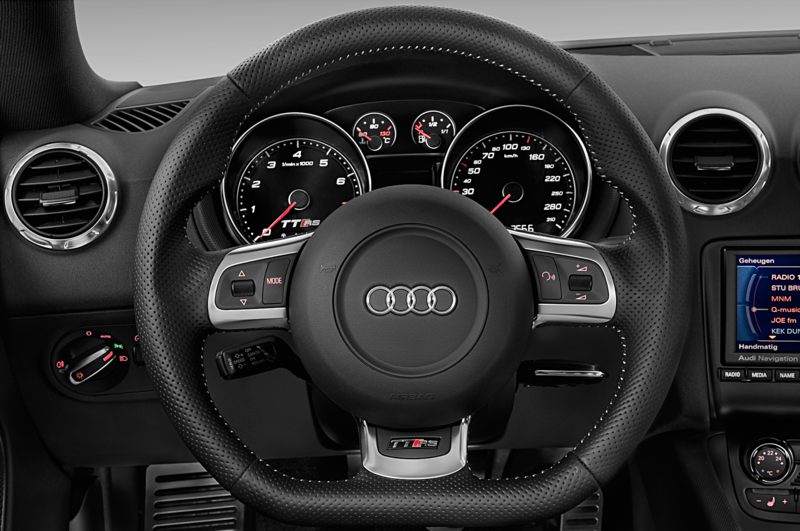 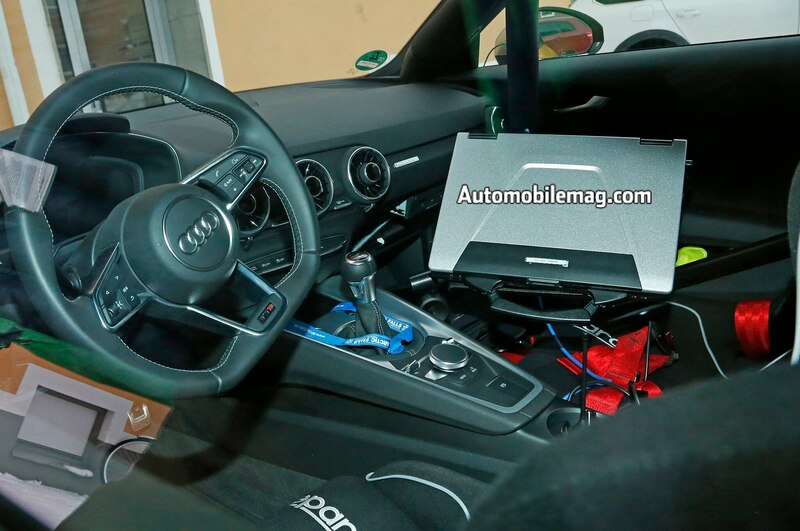 If this carries over to production, it will be the only manual transmission Audi for sale other than the outgoing S5 that’s soon to be replaced. 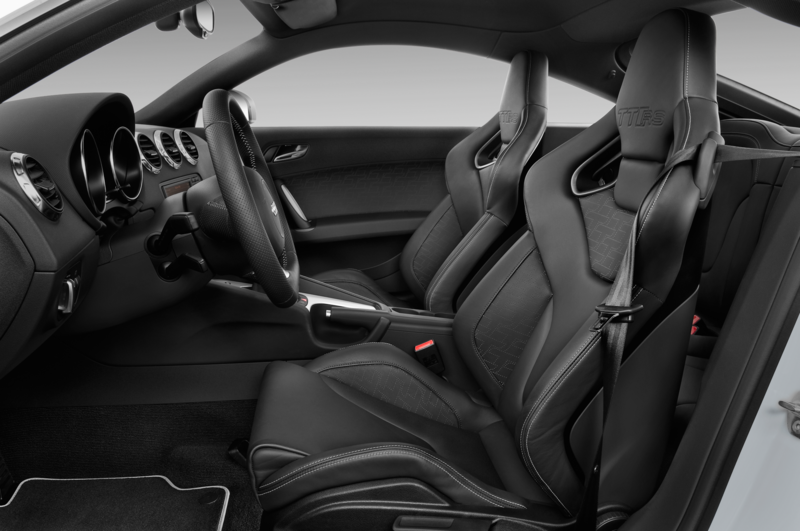 Power will come from either an updated version of the 2.5-liter turbocharged five-cylinder that motivated the previous generation, or a variant of the 2.0-liter turbo four-cylinder found in the Golf R and the forthcoming Golf R400. 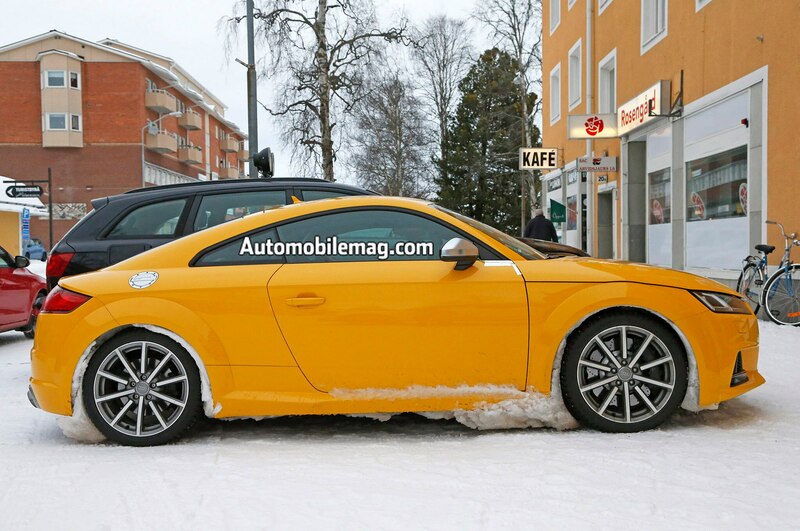 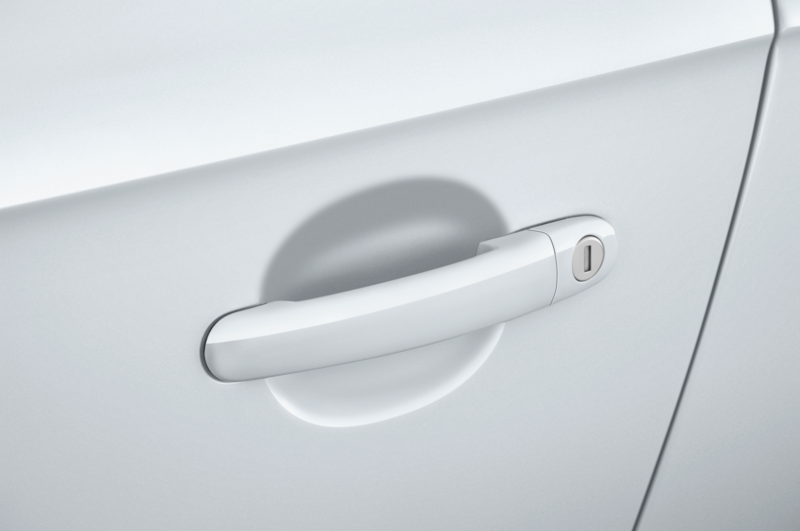 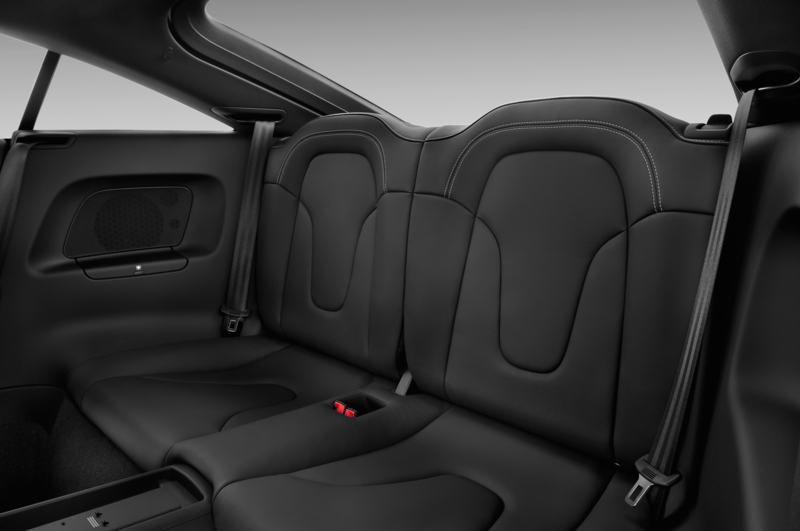 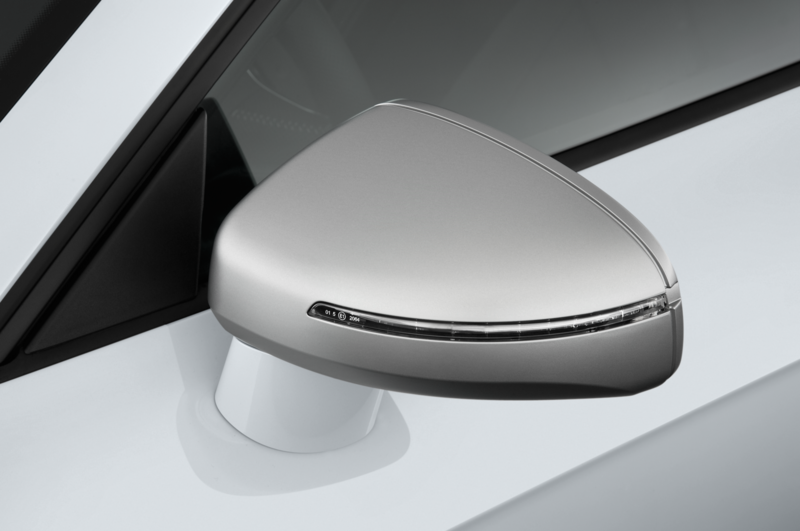 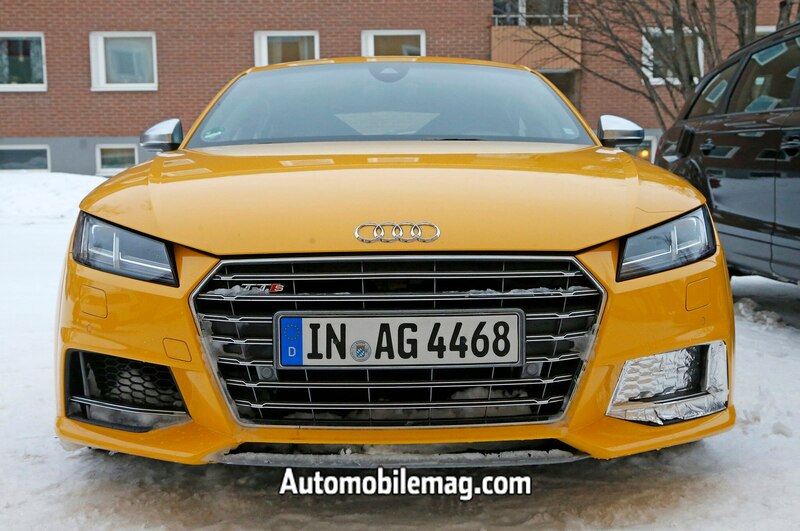 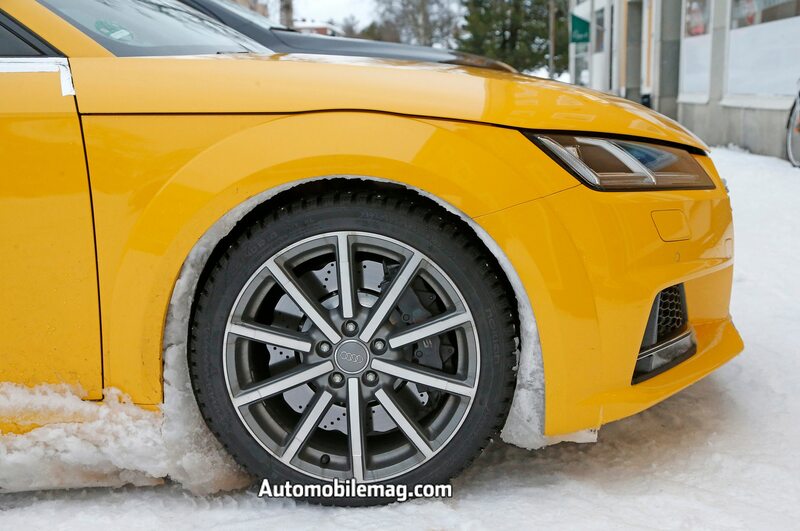 With either powertrain, output is expected to reach 400 hp, and Quattro all-wheel drive will be included, of course. 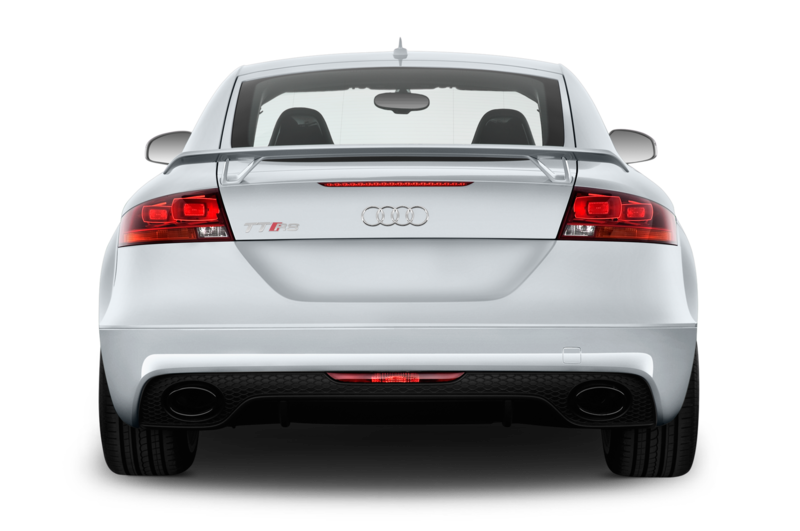 As with all of Audi’s other RS models, the TT RS will feature beefier brakes, suspension, tuning, and tires to handle the extra oompf. 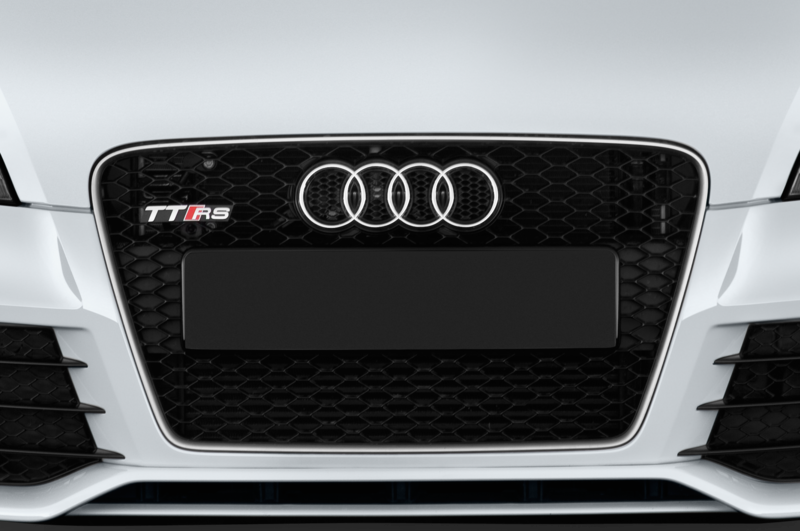 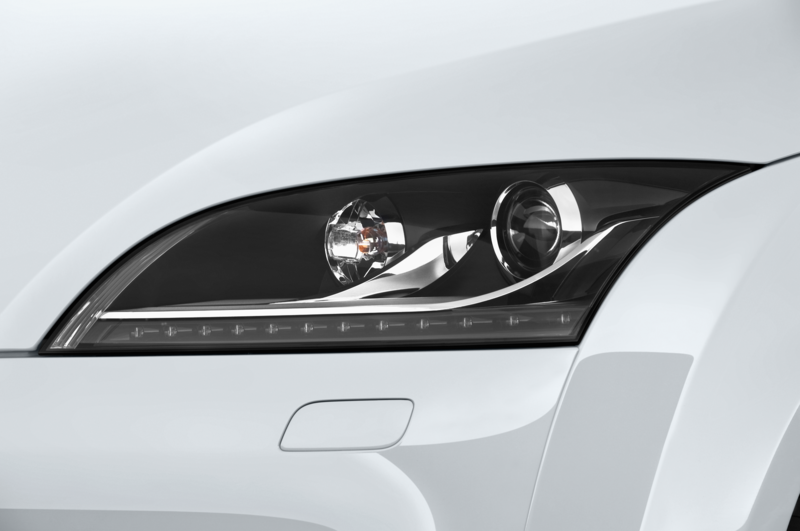 The TT RS will make its debut later this year. 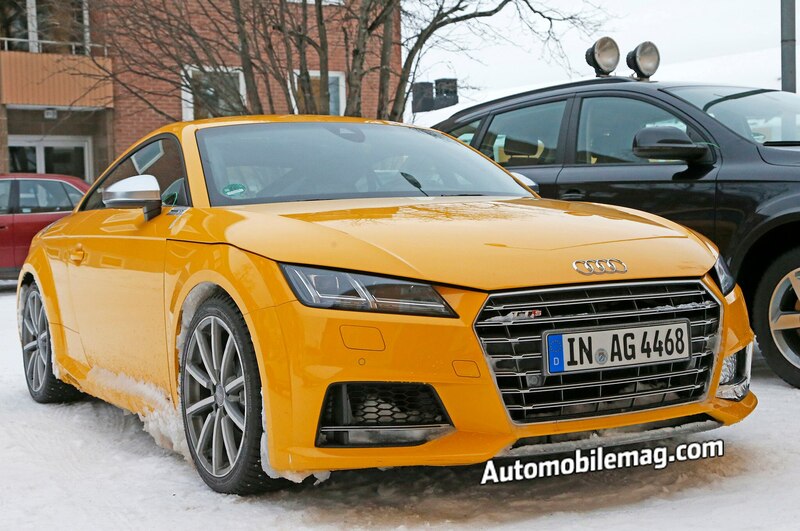 In the meantime, take a look at the spied TT RS in the photo gallery below.